API for proxies | MyPrivateProxy World leading Private Proxies provider. For a long time, one of our most requested features has been an API to access various MPP functionality. Well, we are excited to announce that the MPP API is launched! 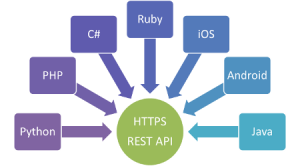 Using the API for proxies, our customers can do most things that should be done only manual on customers area before. Our API is made to simplify your work with MPP: you can fetch your proxy servers list, perform proxies refresh for a proxy plan, enable or disable Auto Refresh of your proxies for some proxy plan. All details are available in your customer’s area. Integrate your proxy tool with our API and work automated with myprivateproxy.net. We are open to your suggestions and thoughts regarding MPP API features – feel free to email us to support [at] myprivateproxy.net with your ideas.